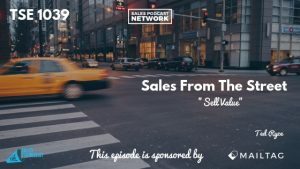 If you struggle with sales and the challenges that go along with it, you aren’t alone, and today Ted Ryce shares how he overcame his own struggles and how you can overcome sales plateaus. Ted has been a health and fitness professional for the past 17 years in Miami Beach. He has worked with tons of celebrities, CEOs, multi-million dollar companies and personalities like Richard Branson and Robert Downey, Jr. He now has a health, fitness, and personal development podcast called Legendary Life Podcast. Ted figured out early on that he actually is a salesperson. 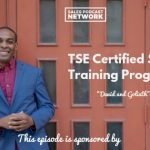 Sales never came easy for him and so today, he shares with us the challenges he faced and how he overcame them so you can learn from his experience. Ted poured a lot of effort and resources into the fitness industry, and though it helped, he hit a plateau where he wasn’t getting more clients. For the money he invested, he expected to have a mile-long waiting list. He was in desperate need of new clients when a guy expressed interest in training with him. Ted saw it as a chance to grow his client list and raise his prices. Looking back, he realizes that because he didn’t have confidence in his business or his cost, he didn’t justify the cost to his prospect. Determine your value, and stick to it. Once you play the price game, everyone loses, including other people in your industry. You have to differentiate yourself and have a reason for charging as much as you do. You must explain it so that the prospect can understand the cost. Have a reason for charging more, not coming from a place of being awesome but in a way the prospect can understand. In Ted’s case, he realized there would always be people who would work for less money, so he started to highlight how his training was different. He offered a holistic approach that included sleep and other physical and health challenges, and he specialized in injuries. He also had a background of working with CEOs, so he marketed himself accordingly. Don’t sell yourself or what you want to sell. Sell exactly what the client wants. Ted worked to determine exactly what his clients needed, and then he sold them exactly that instead of selling what he wanted to sell. He also made peace with the idea that some customers would need something different than what he was selling, so he would be willing to refer them out. Match what you do with what someone else needs. Once you’ve narrowed your message, find ways to reach the people who can benefit from your product or service. This is a great way of selling yourself without selling yourself. Go out there and do more presentations. Do a podcast. Eventually, they will look at you as a leader in your industry. People will apply the things you’re sharing, and if it helps them succeed, they will view you as a subject-matter expert. Take things step by step. Stay at it. Take lessons and courses. Listen to podcasts. Stay on course to make consistent improvements. In 3-6 months time, you’re going to see major changes. Stay consistent, keep at it, and don’t give up. You can connect with Ted on the Legendary Life Podcast, and check out the Be The Change group.